Bounty Select-a-Size Paper Towels, 8 Huge Rolls only $15.64! 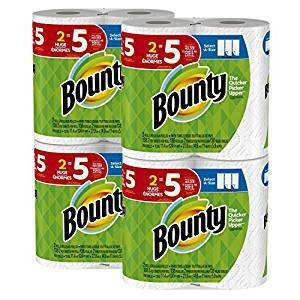 Amazon has these Bounty Select-a-Size Paper Towels, 8 Huge Rolls for only $15.64 when you clip the $0.25 off e-coupon! That’s like paying only $0.78 per regular roll! « Crest Cavity Protection Fluoride Anticavity Regular Toothpaste (3 pack) only $5!